Write a GREAT Screenplay, NOW! 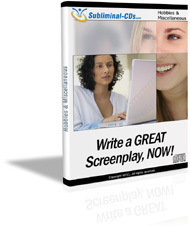 Turn your vision into a powerful screenplay – EFFORTLESSLY! Want to turn your idea into a movie script? To see your name in lights? 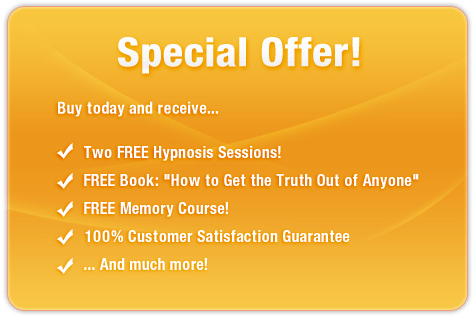 This amazing subliminal audio recording will quickly and easily unlock ALL your innate script writing abilities! The Write a GREAT Screenplay! session uses the latest technology in subliminal messaging to deliver thousands of powerful, provocative, stimulating messages directly to your subconscious – allowing you to unlock the Quentin Tarantino within in only MINUTES! Don’t let the silver screen scare you! Purchase Write a GREAT Screenplay TODAY and enjoy these remarkable benefits right away! I can write my screenplay now! I am a superb writer!